The difference between both coaches was night and day. 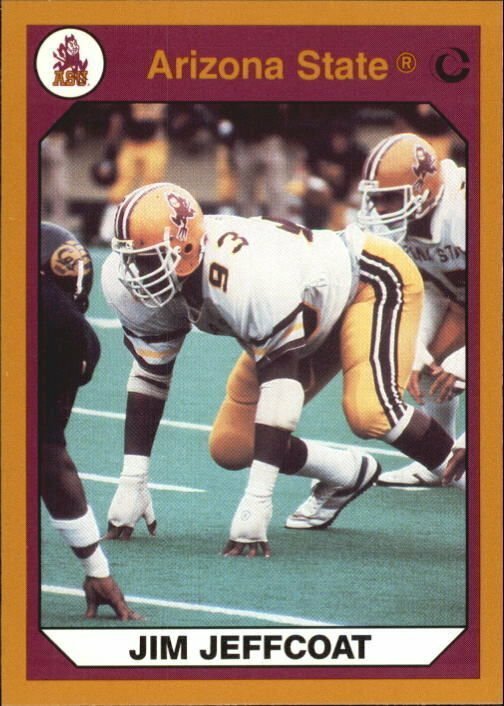 In 1982, Ron Sowers was a 6-5, 245 lb lineman and offensive captain for the #6 Sun Devils who finished as Fiesta Bowl Champs with a 10-2 record. 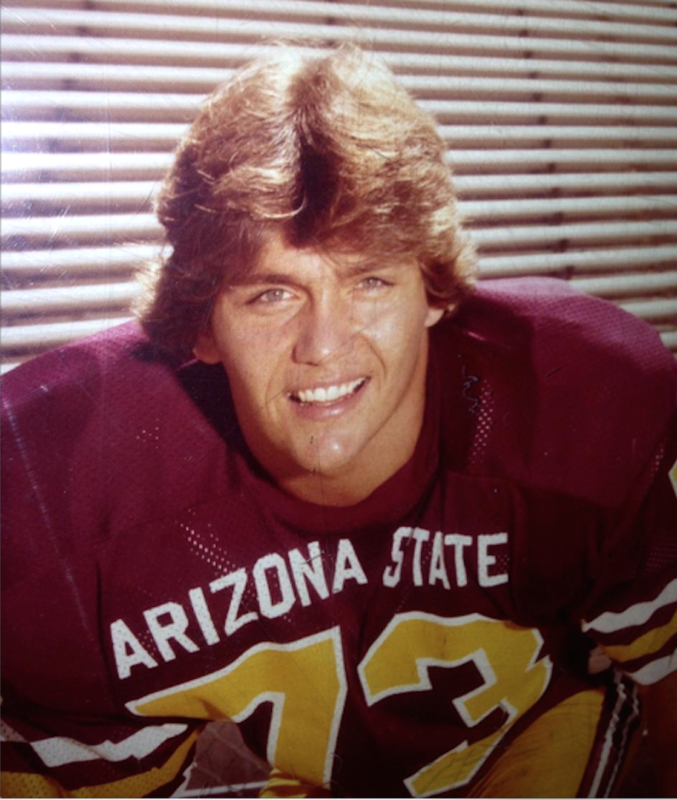 That was his senior season at ASU and the end of a wild ride he took that began in 1977. 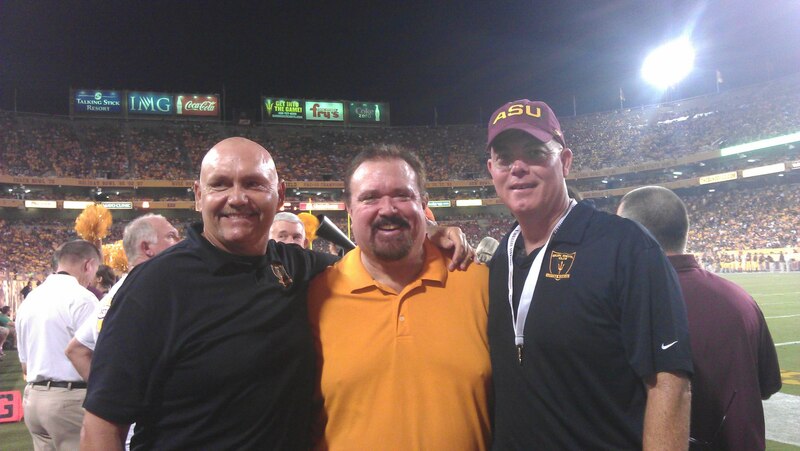 In 1977 Sowers was recruited to Arizona State by legendary Frank Kush only to see his coach ousted from the program two and a half years later in 1979. He and his teammates were then led by new head coach, Darryl Rodgers, who came to Tempe from Michigan State in 1980. We talked with Sowers about several topics including the transition from Coach Kush to Rodgers while at ASU. We also discussed Coach Todd Graham. As a past player at ASU, we were interested in knowing his perspectives on Graham and his outlook on the program he is running. Looking back, your teams had a lot of success during the program’s transition from legendary coach Frank Kush to Darryl Rodgers. In fact from 1977-’82, ASU earned a combined 50-20 record. What what is like at that time and what were the differences between the two coaches? 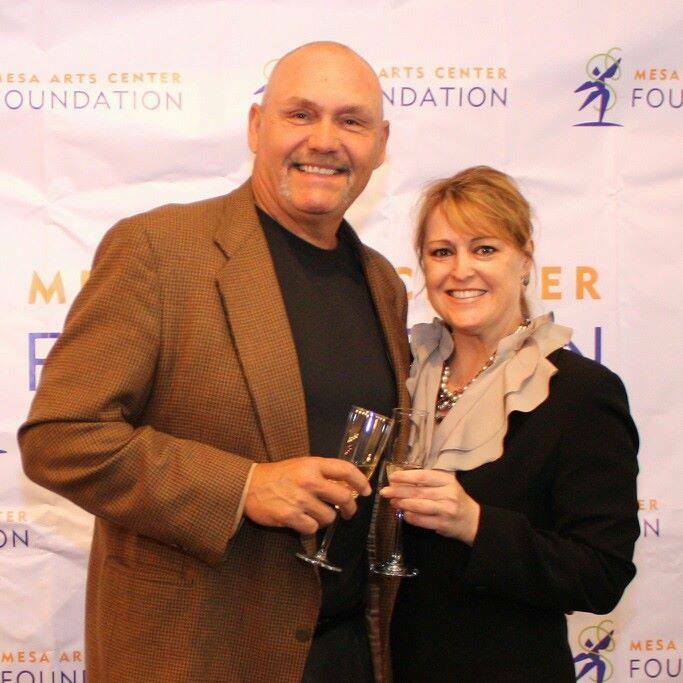 Ron Sowers: Darryl Rodgers was a good coach who came to ASU from Michigan State. He came in and had a leg up on most coaches because Frank had the cupboards full of the guys he recruited. My junior year (1981) we were the #1 Offense in the nation with (QB) Mike Pagel. My senior year with Jim Jeffcoat and all the boys, we were the #1 Defense in the nation. The difference between both coaches was night and day. With Frank, games were easy. It was our practices that were hard. In camp we went from three practices a day under Kush. The guys who started the first game of the season were just the healthy ones after everyone smashed each other to pieces at Tontozona. With Darryl we did two practices a day, one in shells. Darryl was much more of a professional type coach whereas Frank was very old school and militaristic. He made sure that we were just going to be faster, tougher and meaner than everybody else. Frank was going to mold you in his image which was a coal miner kid who was tough as nails. If you stayed around with Frank Kush, you were going to be successful in football and life. Darryl Rodgers was much more of a scheme guy and approached coaching that way. Can you talk about Coach Graham and how he’s engaged with past players? Ron Sowers: Coach Graham’s been a very positive person with past players ever since he came aboard. When he got here he said all of the right things. We were skeptical because we had heard that in the past. But true to his word, Graham has followed through on making sure we are involved. He’s been very welcoming and open, doing things like providing tickets to us when necessary. One of the coolest thing that Graham has done is invite past players to line Tillman Tunnel as the team comes out of the locker room before each game. He’s done a lot of cool things that make you feel like this guy really cares about you and cares about the program. We’re behind it. When did you get a sense that Graham might be the real deal? Ron Sowers: At the first Spring Game when he came in (2012), there was a receiver who made a catch and almost scored a touchdown. He was sort of dancing a little, just celebrating. Coach Graham was at the 50-yard line, and I didn’t know an older guy could run that fast. He b-lined down there and had a very long, choice conversation with this player. The next thing you know, the wide receiver picked up the ball, sprinted to the referee then sprinted off the field. It’s been some time since the program was run with such an emphasis on discipline. As a past player who was accustomed to that back in the day, how does that make you feel? Ron Sowers: Extremely happy. We’re all proud Sun Devils. I was so fortunate that when I played here, there were so many great players. (Sowers played with DE Jim Jeffcoat, DE Bryan Caldwell, OLB Vernon Maxwell, SS Paul Moyer, FS Mike Richardson, WR Ron Brown, RB Alvin Moore, and QB Mike Pagel.) We were sending ten plus guys to the NFL. So another thing we like about Graham is how he’s brought his recruiting reach with him, and it’s showing. But mostly it’s about the discipline he has brought. See, when you played for Frank Kush, you were scared to make a mistake. Because if you did, he would remind you in a very physical, demanding way. I would say Coach Graham is Frank Kush… 3.0. People love to play for the guy because he walks the walk. He’s out there hustling. He’s prepared. He does everything himself that he asks you to do. You respect that as a player. Speaking of the NFL, do you see Graham having more success at ASU with getting his guys into the league? Ron Sowers: I can tell you this. It takes a lot of discipline, a lot of hard work, some luck and a lot of ability. He is definitely developing talent. What I’ve noticed about Graham the most is that he really coaches his coaches. He is very focused on his coaches doing things inside his system to help the kids get better— the repetition, the hustle, all of those things that again come down to discipline. One of Frank Kush’s secrets was that we were so in shape and so disciplined. Our teams made fewer mistakes than our opponents. That helps to develop good NFL prospects. When you look closely at Coach Graham and watch him operate, his expectation of people is very high. They must do things the right way. His staff is the same way. I couldn’t be more proud of how he handles himself. Ron Sowers: I’m working with another Sun Devil, Ryan Johnson, at The Blakesley Group which is a professional recruiting firm. I love it because we are helping people and businesses find each other. It allows you to help people be successful, and as a coach, that’s a win-win deal. I’m also still coaching the Offensive Line at Centennial High School, and have been for many years now. With a focus on history and tradition, it’s good to know that the current program and its leadership are honoring the past. By focusing on many of those ideals which contributed to ASU’s dominance decades ago, Sun Devil Football is healthy and thriving. Perhaps Graham can take things one step further. Sower’s nephew, Don Shields (#66), is a walk-on and long snapper for the 2015 team. Shields played for Liberty High School here in the valley. 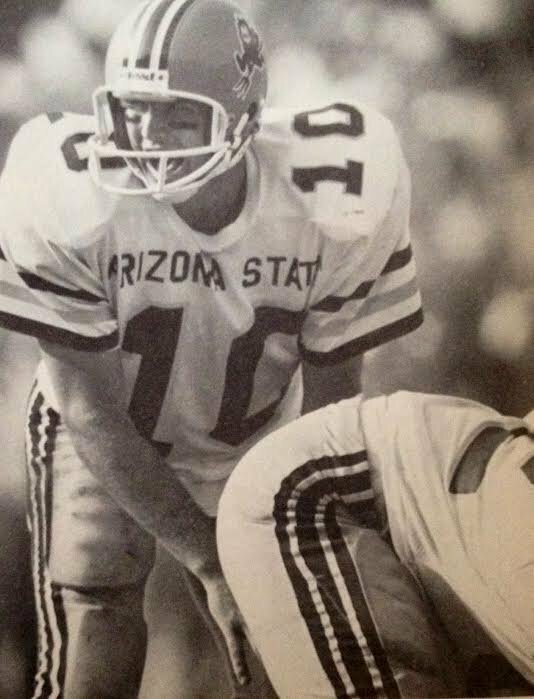 At the end of Sower’s senior season in 1982, #11 ASU defeated #12 Oklahoma 32-21 in the Fiesta Bowl at Sun Devil Stadium. Click to watch the full game.